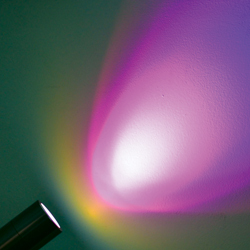 Low voltage lighting systems have many benefits. 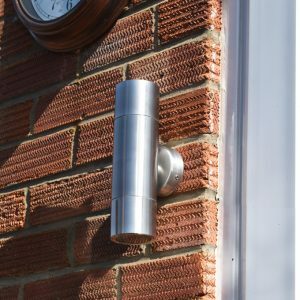 Firstly, 12v outdoor lights are particularly suited to outdoor environments because they withstand damp weather conditions without the performance being affected. 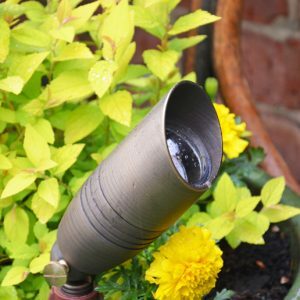 Furthermore, 12v garden lighting systems are very safe to use, easy for anybody to install and highly energy efficient. Plug & play installs are the easiest systems to use with no hard wiring required. 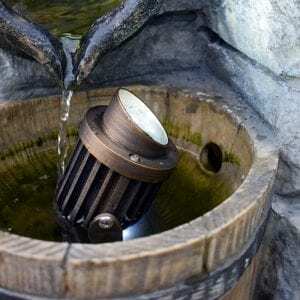 All 12v Garden Lights need to be powered by a 12v transformer (sometimes referred to as drivers). Transformers convert 240v mains voltage down to 12v. 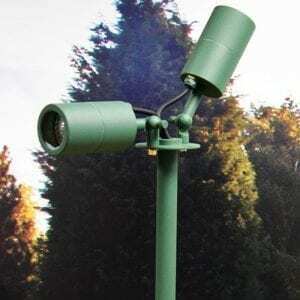 Lumena 12v AC transformers are totally weather proof. 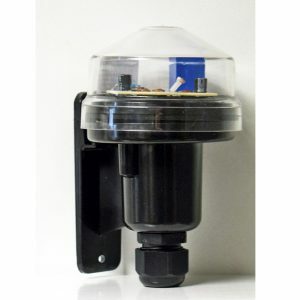 They are provided with a UK moulded plug suitable for use with a weatherproof outdoor mains socket. 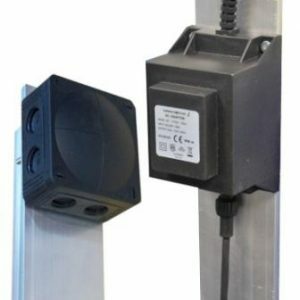 Or the plug can be removed and the input cable wired into a waterproof outdoor junction box. Which transformer you require is based on how many 12v outdoor lights you are powering and the wattage of the bulb inside. For example if you’re powering 8 lights, each with a 5w bulb, the total wattage is 40w. You would therefore need a 50w transformer. 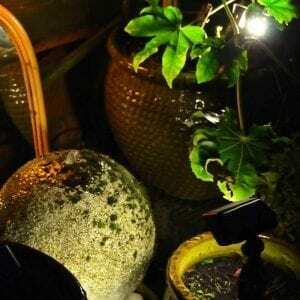 Learn more about powering 12 volt garden lights here. 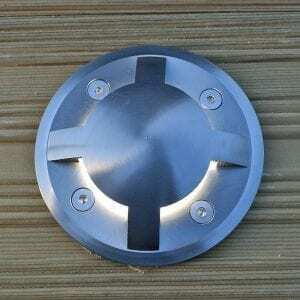 Lumena 12v outdoor garden lights are crafted from durable materials: Natural Copper, Solid Brass, Marine Grade Stainless Steel (316) and Anodised Aluminium. 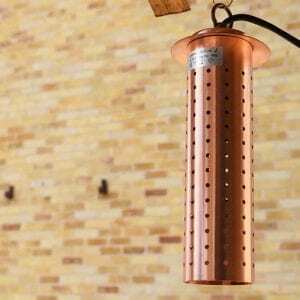 Natural Copper and Solid Brass (polished and antique bronze) will change colour over time due to oxidisation. Alternatively, applying clear lacquer will prolong the new, pristine finish. 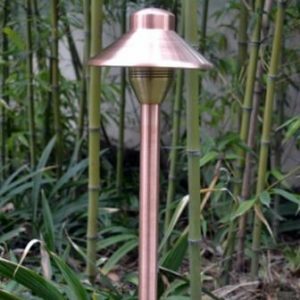 Copper and Brass 12v Garden Lights look impressive when visible but are also great for blending in with natural surroundings in the garden. 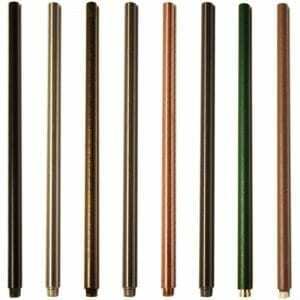 Likewise, matte brown and matte green powder coated aluminium options are exclusively designed for this. As a result of their colour, the light source disappears into the background whilst creating exquisite illumination. 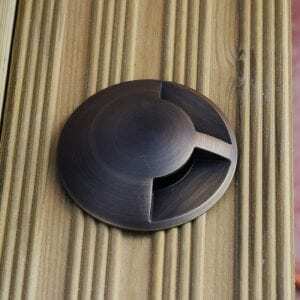 Stainless Steel, Titanium and Black are more suited to contemporary areas where the light source needs to stand out. 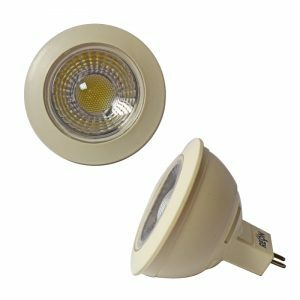 Customers can also order 12v LED Lights and accessories to complete the low voltage system.